Learning to draw gives us the ability to better understand the world around us as well as providing a creative outlet that encourages a sense of achievement, balance, and self-worth. Whether the goal be learning a therapeutic activity and developing communication skills through drawing, or improving one’s home environment, I’m available to provide art and landscape education services for individuals and groups. Consider the performance of your home landscape. Would you describe it as a fit, functional work of art that reflects your lifestyle and encourages outdoor activity? If not, join landscape designer Preston Montague for a design course series that will help you revise and reboot your outdoor space. Botanical illustration is a powerful tool for understanding and communicating nature ‘s design. Whether for scientific exploration, self-expression, or both, botanical illustration gives us an opportunity to document those moments in nature that inspire us. Drawing in Nature introduces participants to the basic observation and drawing techniques used by professional artists. Designed for enthusiasts with little to no artistic training, this series focuses on foundation skills in pencil, pen, and watercolor paint to create accurate and beautiful botanical illustrations. Leading 20 high-school students through a two hour Intro to Drawing workshop. So many breakthroughs! Collage of student work from the group pictured above. 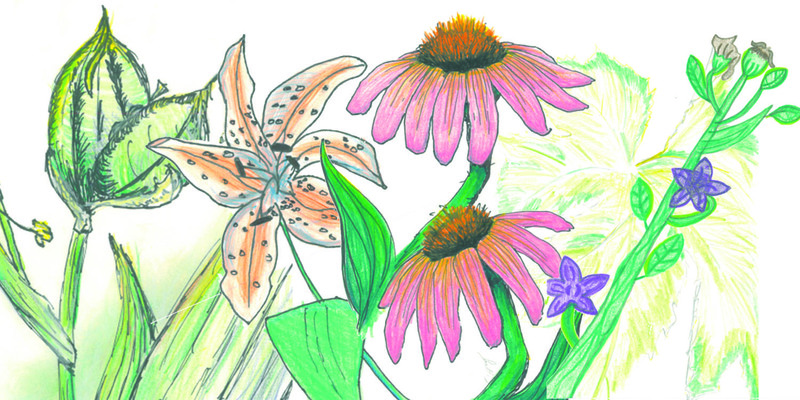 Join artist and landscape designer Preston Montague this summer at the 33rd Cullowhee Native Plant Conference for a botanical illustration workshop based on his experience illustrating plants of Western North Carolina. 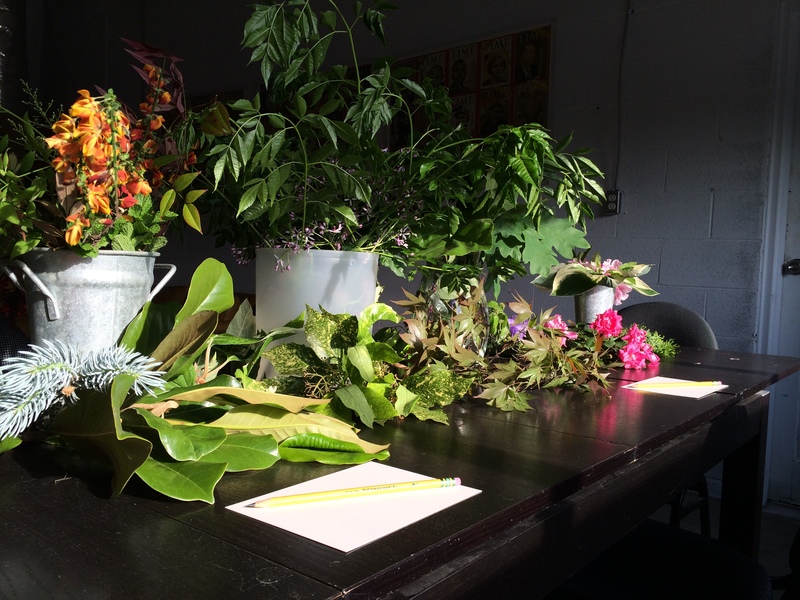 This workshop will introduce participants to the observation and drawing techniques necessary to create accurate and beautiful botanical illustrations. Though designed for beginners, intermediate artists are also encouraged to consider the workshop as an opportunity to refine their observation, drawing, and rendering skills. 1. Several #2 pencils, Ticonderoga brand preferred. 2. 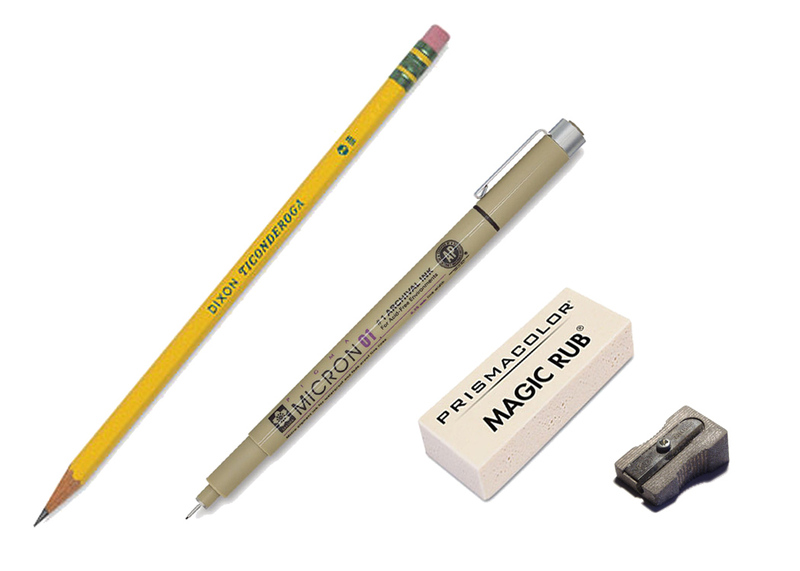 A fine drawing pen, Prima’s #01 Micron pen preferred. 3. Eraser, Prismacolor’s Magic Rub or a kneaded eraser preferred. 4. Pencil sharpener, the small metal variety preferred. 5. Set of colored pencils. Faber Castell’s 24 piece set preferred. 6. Sketchbook. Strathmore’s 400 Series Smooth Bristol 9″x12″pad preferred. The materials listed above are what I use in the field to create the “Vowels” botanical illustration series. They are durable, archival-quality materials that resist damage in the windy, balmy, rainy conditions that often surprise plein-air artists working in North Carolina. Spill your coffee on your drawing? No problem. These materials are so durable, they can be wiped clean like a counter top. For first-time artists (which this workshop is intended) I understand that collecting these materials might be an exciting, but daunting task. Fortunately, they may all be collected from your local art store in one visit. I prefer finding smaller, locally-owned art merchants, but there are certainly big box art stores in every city that will have these materials available. Should you experience trouble locating any of the materials listed, there are vendors online that will be happy to serve you. 1. Digging up and potting. Good for small and/or herbaceous material. 2. Cutting and placing in a vase with water. A bit messy and tough to transport, but a great option if specimens are collected the day of the workshop. 3. Cutting and storing in the refrigerator. Should you choose this option, please transport your specimens in a cooler with ice packs. I recommend storing the specimens in a vase with water while drawing as they will likely lose character once out of the cooler. 4. Drying and pressing. Though some of the characteristics of the plant might literally be pressed out, this is certainly a viable option if you collect your specimens long before the workshop. 5. Pixels. Though I don’t recommend you simply bring digital photos of your preferred specimen, I regularly use digital photos to assist in the drawing of plants that I was unable to collect in the field. If you choose this option, please print your images and bring them with you. 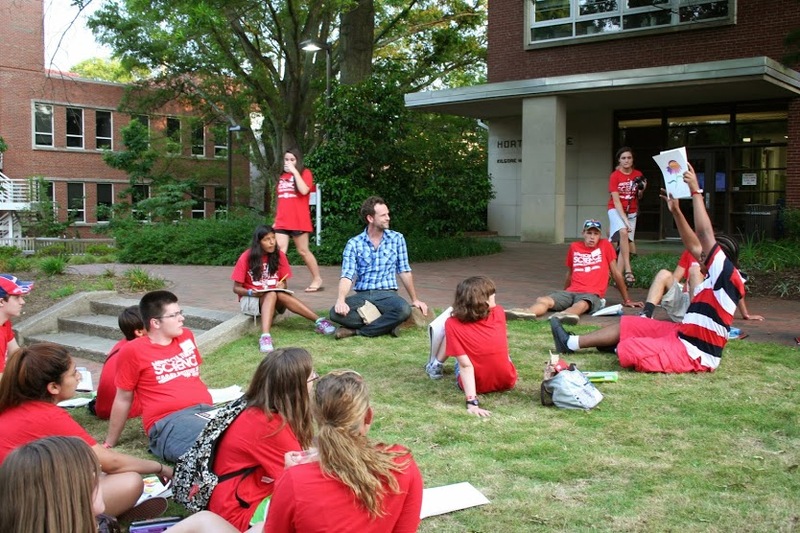 I look forward to meeting my future students at “Plant Camp” this summer! Should you have any questions about materials or specimen preparation, please contact me at (336) 558-6137 or naturalistnc@gmail.com.